First of all I want to congratulate Lucy Dathan on her victory. Lucy clearly worked very hard throughout the campaign. I feel saddened and disappointed by my loss. I care deeply about Norwalk and our State and I devoted these past four years to making both of them better places. There was a huge wave of anti-Trump voters who simply voted party lines, without regard to the actual candidates themselves. I am honored that my vote total increased from four years ago, plus for the enthusiastic support I received from thousands of Norwalkers. Norwalk is my home. This is where I live, work and have raised a family. I cannot imagine not being involved in our community. I wish Lucy the very best as our new State Representative for the 142nd District. You’ll be missed Fred. Norwalkers gave up a strong advocate for Norwalk in 142nd district. Can’t imagine someone who lives in Darien will be fighting as hard for us. Very gracious, Fred. FYI in order to get my vote a Republican would need to publicly speak out against the president’s words, values, actions, behavior, tweets. Apparently not enough courage out there. Thank you to Fred Wilms for having served Norwalk & part of New Canaan as a State Representative for two terms. I was surprised by your/his loss. When Fred Wilms was starting out in government as a Norwalk Common Councilman years ago, I asked him how he managed work, raising young children & his volunteer work for the city on the meager remuneration for expenses. Years before that in the old City Hall, I had heard then Councilman Tommy O’Connor, who was later Mayor, plead for a raise of that remuneration (which is, unfairly, still the same today)! On his teacher’s salary, his job & the time to be Councilman, Tommy O’Connor explained that he could not afford nor spend the time to paint his house himself. After serving as a Councilman, Fred Wilms went on to be on the volunteer Board of Estimate, & he has always been active in the Republican Party. He has made himself available to explain his outlook & to listen to constituents in such a polite way, in my own experience. I wish you, Fred, the best & am sure that you will continue to work for good government in our democratic republic. This was a huge loss to the people of Norwalk. I have always said you’re probably one of the smartest guys up Iin Hartford. Your knowledge and expertise in Norwalk and Hartford will be sorely be missed. I have no idea what people were think when they were casting their votes. At a time when we need smart and proven leadership with experience they decided to go with a total unknown person. We can only pray they are half as good as you were serving us. Thank You Fred! I think it is important to pick the person and their position — not just the party. I want to thank Fred for all his hard work over the years. Our City has benefitted from the knowledge, experience and passion he has brought to the table. Fred, please stay involved and thank you. No doubt this was a big loss for the state. I have my doubts this one was due to an anti-Trump backlash but rather the big turnout was to protect the “freebie” entitlements/medicaid expansion “aka Obamacare” coupled with big labor unions. Unless Republicans can figure out a way to court the free loader community and continue giving away the state to the unions, Connecticut will always be under one party rule. Middle class need not apply/personal responsibility has no place in this state! Huge loss for Norwalk!! Thank you for your service Fred. Your New Canaan opponent has big shoes to fill. 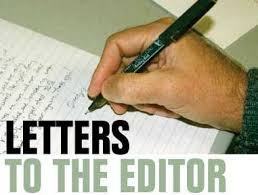 At some stage Norwalk voters need to understand local versus national issues and elections. Trump was not on the ballot. He’s not even a Republican or Democrat 😆 but the state and city are in dire straights and Fred’s fiduciary and budget knowledge was second to none. Trump doesn’t care about Connecticut and Norwalk has one less advocate. Fred Wilms loss is a sure signal that Norwalk and CT will continue to decline amidst our unprecedented national economic expansion. I’ve known Wilms for nearly 4 decades as line of Norwalk’s best “public servants” in every sense of the word. And one of the very small number of City officials with a solid command of finance. Together with the loss of Ms. Tony Boucher and the esteemed Sen Scott Franz of Greenwich – one of the nation’s major portfolio managers – CT has lost almost all of its financially knowledgeable and capable Legislators. CT and Norwalk residents steadfastly believe a long failing CT Democratic leadership will solve CT’s fiscal and economic problems. With about 40% of CT’s adult possessing college degrees that might suggest reallocating resources to our public schools. When a long failing State fails to re-elect its most capable representatives we know the future. Continued Exodus of our best and brightest residents and reluctance of business to locate here. So we await the next State and local tax hikes. CT residents just love to pay taxes. Fred Wilms was one of the very few CT Legislators with a strong financial background. Given our seemingly perpetual billion dollar CT Budget deficits we’ve lost a valuable resource. And a well respected Legislator by both Parties. Fred If people only knew the contribution you made to pass the State budget, you would have received every vote. I appreciate you. You can bet it won’t ever pass to be vetoed by such a villain. I consider you a real Hal Jordan. Its a shame people dont take the chance to know what the candidates stand for. To walk into the booth and just vote your party line is silly. Larry Cafero is another candidate who took it on the chin as a result. Too bad. Thank you Fred for going above and beyond. thank you Fred for all you did for norwalk,you will be greatly missed. That’s the problem with “waves”. They’re indiscriminate. Fred, Larry- Please stop blaming Trump for your loss, it is a cop out and does nothing to address future campaigns. You lost because you didn’t show the voters why you should be there. There is a new generation of voters and they do not know who you are and what you have accomplished. Isn’t it *possible* that voters found Lucy’s financial expertise more impressive and her stance on important issues more persuasive? To dismiss Lucy’s historic victory -uphill against 2010 gerrymandering- is insulting to voters in my district. If Trump really had that big an effect, to the point where we voters simply voted party lines, then Lucy could have eaten bon bons all season and coasted to victory. But she demonstrated respect for each voter’s choice and earned their support door by door (over 5,000 since May). She didn’t take voters for granted. Ditto for Doug Stern. Voters didn’t take something away from Fred or Larry that belonged to them. Voters chose Lucy and Doug. I get that you all like Fred and Larry. But please respect the results of a fair election and respect the intent of each voter. Fred, no doubt in my mind, you were overwhelmed by a tsunami! Mr.Trump has been such a disgrace as President, unfortunately very little of your positive attributes or contributions could survive. (being in the right place at the wrong time). These were two excellent candidates – exactly what we should see for ALL elections. That Lucy Dathan won is a credit to her abilities and her diligence in contacting voters and clearly stating her message. This was a difficult choice for me. Having spoken to Lucy about her ideas and plans, I felt that a vote for her was in the best interests of Norwalk. It didn’t help the Republican case that they failed to disavow the worst of Trumpism. That meant – to me – tacit agreement with Trump’s positions on human rights, climate change, health care, guns, etc. Tacit agreement and support for ideas that – to me – could infiltrate State and local decisions. Soooooo…. Fred: Thank you for your service. Your loss is this Godforsaken State’s loss. It was not your fault. As you recognize, yours was most probably a wave loss, and it seems that it was a continuation of the wave faced by Norwalk Republicans last year. This year’s election outcome seems worse and more shocking, however, with yours and Larry’s loss. Let’s hope for a better next November. With new invigoration, new messaging, a resolve for getting back to basics, along with some inner reflection as Larry suggests, I know we can do it: see you run again. @Ken – Enlightening! Wow you speak for You and all of those that voted Datham too. Imagine that? Are you attempting to make a point. It seems that it got lost in the translation. well said Fred and all other comments.